This machine has an exceptionally high cutting capacity and is designed for even the toughest silage. Thanks to the extra 105-cm depth, the TU 180 XL is ideal for filling feed kitchens. The block contains a lot of feed and can safely be stored in the feed kitchen with no risk of dropping. The silage cutter is an addition to the Lely Vector automatic feeding system which stores many types of feed in a feed kitchen. For optimal feeding, the feed kitchen only needs to be refilled once every three days with checks in the interval. The feed kitchen also offers full flexibility to apply any desired feed strategy, and the system can grow with the farm. “The silage gets to the kitchen in an optimal condition. The feed stays fresh in blocks for days as it is stored in the same set form as in silage. 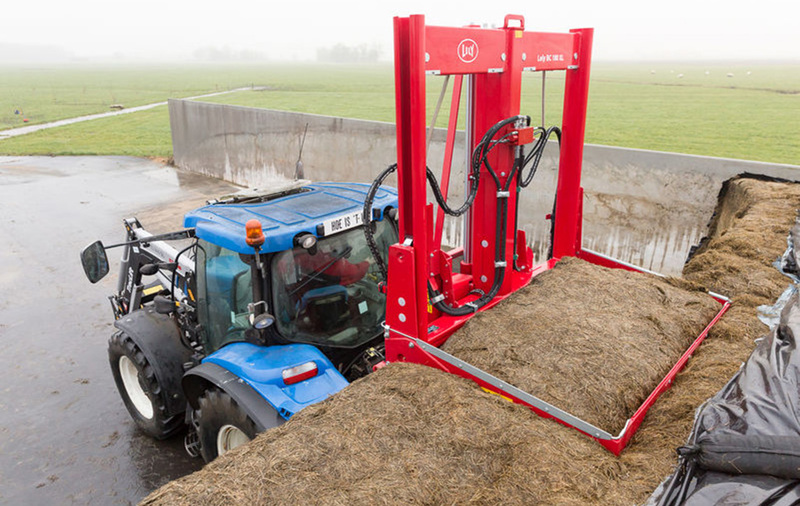 This prevents heat damage, stops the growth of moulds and bacteria and safeguards the feed quality”, says Jelmer Ham, Product Specialist Feeding Products at Lely International. This silage cutter can be fitted on wheel and telescopic loaders as well as on tractors. The silage cutter will be delivered via the Lely Center network as Lely BC 180 XL in the Lely brand.